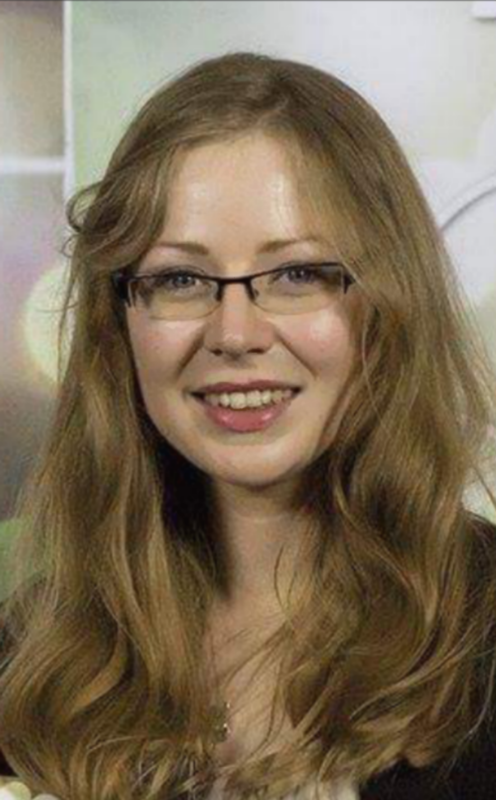 Laia joined the Duncan lab in October 2017 as a PhD student at University of Strathclyde looking at the "chemical warfare of actinomycetes as keystone bacterial species for accelerated antibiotic discovery”. Laia is a native of Spain and graduated in 2017 with a B.Sc (hons) in Human Biology, specialising in Microbiology, at Edge Hill University. She is interested in natural products and the growing threat of antimicrobial resistance. Alejandro joined the Duncan lab in November 2018 as a postdoctoral research associate on a BBSRC tools and research development grant. Alejandro obtained his B.Sc in Pharmaceutical and Biological Chemistry at the Michoacan University of Saint Nicholas of Hidalgo, Mexico. He then joined the Wellcome Trust 4-year PhD programme at the University of Glasgow, where he worked under the supervision of Prof. Andrew Roe exploring antivirulence based strategies to prevent Shiga toxin expression in enterohaemorrhagic E. coli. Ally joined the Duncan lab in October 2017 as an IbioIC / University of Strathclyde PhD student looking at the biotechnological potential of microalgal natural products (spending one year at Xanthella in Oban). Ally graduated in 2015 with a B.Sc (hons) from the National University of Ireland, Galway specialising in Chemistry. Following this, she worked as a research and teaching assistant at the University of South Florida with Prof. Bill J. Baker in the field of marine natural products chemistry. Jonathan studied a Pharmacy Degree and a Masters Degree in Chemistry at the University of Costa Rica in the area of rainforest plant natural products chemistry. Jonathan joined the lab in July 2018 and will expand his knowledge of microbiology and microbial natural products using 'omics approaches. Darren was awarded a Microbiology Society Harry Smith Vacation Studentship and joined the Duncan group over summer 2018 for his internship..
Sylvia joined the Duncan lab in October as a postdoctoral research associate (PDRA) on a Carnegie Trust Collaborative Research Grant funded project with the University of Glasgow. Sylvia has a B.Sc in Chemistry (University of Patras, Greece), a M.Sc. in Pharmacognosy (UCL, London) and a Ph.D. in Chemistry (National University of Ireland, Galway) under the supervision of Prof. Bill Baker. A year of her Ph.D was spent as a Fulbright Scholar at the University of South Florida, USA. Sylvia joined the Marine Biodiscovery Centre in June 2018 as a Postdoctoral Researcher under the supervision of Dr Rainer Ebel. Florent joined the Duncan lab in January 2018, for a 6-month research placement during his Masters degree (2nd year) in Analytical Chemistry and Instrumentation at the University of Paul Sabatier in Toulouse. Last year he performed a three-month internship at the Marine Biodiscovery Centre in the University of Aberdeen, where he grew interested in natural products. In October Florent started his PhD in the area of natural products chemistry in Kiel, Germany. 2016-2017 Marine Alliance of Science and Technology (MASTS) Visiting Research Fellow. ​December 2016- January 2017 & June 2017 - August 2017. Following the completion of her PhD in Paul Jensen's lab (Scripps Institution of Oceanography, UCSD) in 2016 Natalie started at the Autonomous University of Baja California as an Assistant Professor. Her research is on marine microbiology, phylogenomics and marine natural products. Sergio completed his industrial laboratory research placement on algal biotechnology, Sergio now works in the biotech industry in Scotland. Kim started a fully funded PhD at the University of Glasgow in October 2017 in the area of microbiology. 2015-2016: 4th Year BSc Marine Science dissertation "Secondary metabolites from bacteria associated with Scottish marine invertebrates". Prior to starting in the Duncan lab Jordan completed a BSc in Microbiology at Glasgow Caledonian University. Jordan started a fully funded PhD at the University of Glasgow in October 2017 in the area of marine natural products and is writing up his MRes thesis. Tom joined the Duncan lab for an internship in summer 2017, between his third & fourth year of study. Tom is now a postgraduate student in dentistry in Wales. "Using Molecular Networking for Microbial Secondary Metabolite Bioprospecting". This resulted in a first author publication: ​http://www.mdpi.com/2218-1989/6/1/2. Kevin is currently a 3rd year PhD Student (2015-2018) at Plymouth Marine Lab (PML) as part of the ENV EAST Doctoral Training Program (DTP), his research is on "Investigating the role of viruses in methanol production in the ocean"